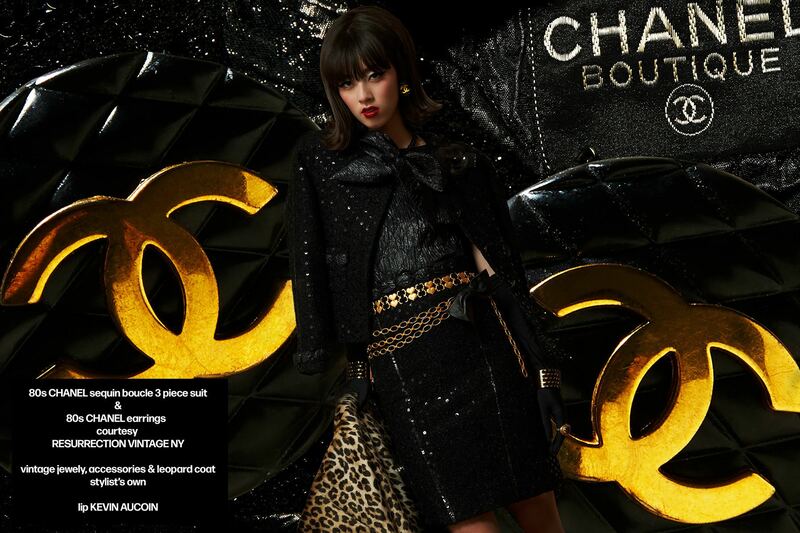 Vintage Chanel featured on Wilhelmina NY model Megan Otnes. Photography Alexander Thompson. Creative direction Maria Ayala. Stylist/Editor Xina Giatas. Hair/Makeup Ahbi Nishman. Hair Oribe. Eyes Stila Stay All Day Liquid Liner, Viseart Shadows, Cherry Lashes. Skin B3 Balm, AJ Crimson, Stila Convertible Color. 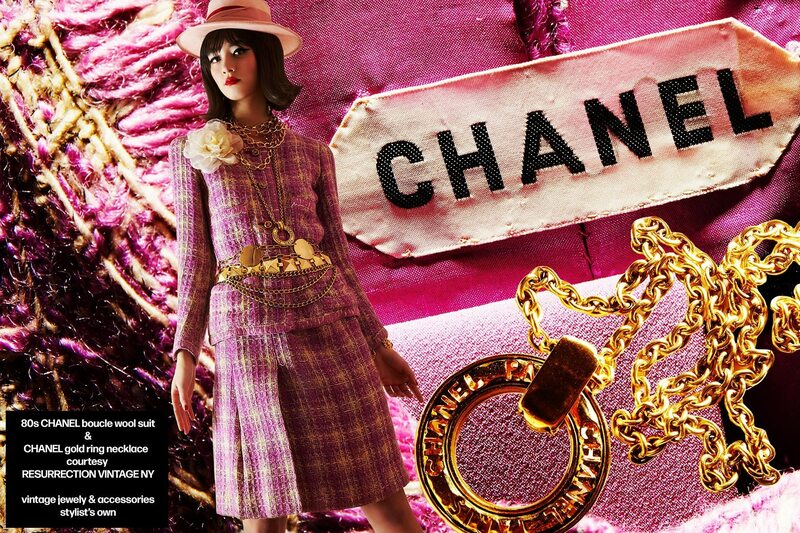 All vintage Chanel Clothing & accessories courtesy of Resurrection Vintage NY. RIP Karl Lagerfeld.